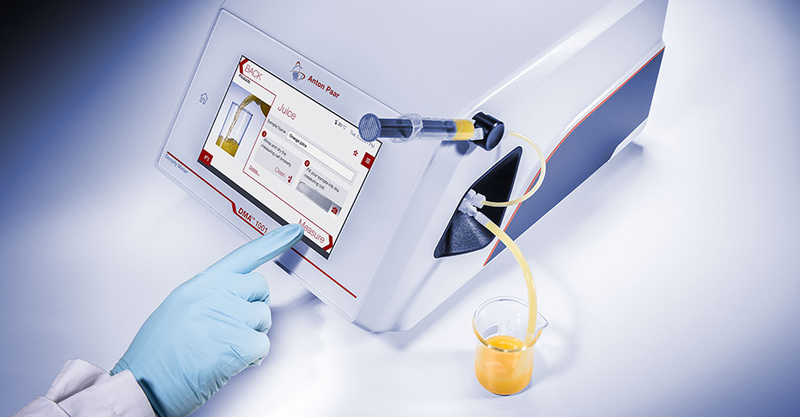 Compact, user-friendly instrument, measuring the density, specific gravity and concentration of liquids based on the oscillating U-tube technology. 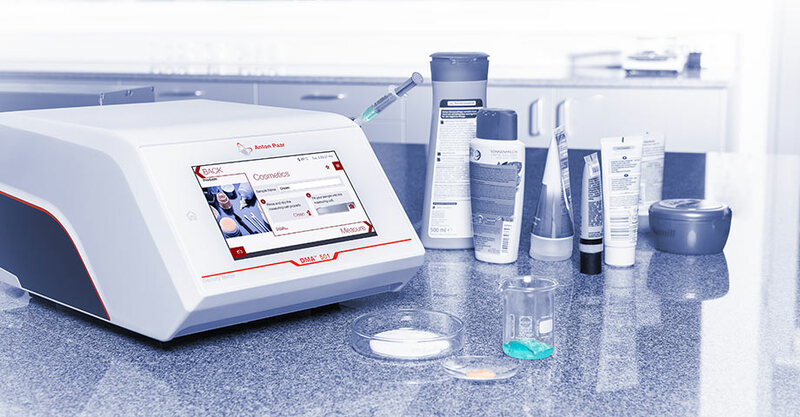 With a built-in solid state thermostat, automatic viscosity correction, filling error detection (FillingCheck™) and live-view of the measuring cell (U-View™) supporting correct sample filling. DMA™ 1001 has everything that industry standards for density measurement stipulate: 4-digits in density measuring accuracy. Based on comprehensive knowledge of the oscillation characteristics of the newly designed measuring cell, the applied patented Repeated Fade-out Method delivers the most stable density results. 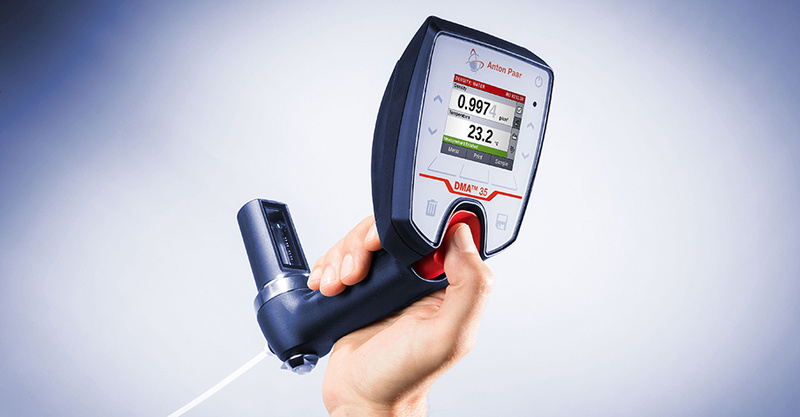 But there’s more: the new unique one-point water adjustment is the quickest way to get your highly accurate measurement work started and is only available with DMA™ 1001.